These are some of the words Philadelphia Eagles fans have used to describe the feeling of their team winning a Super Bowl Championship. For Philly word artist Dan Duffy, he was more into the numbers this time around to celebrate the Eagles historic win. 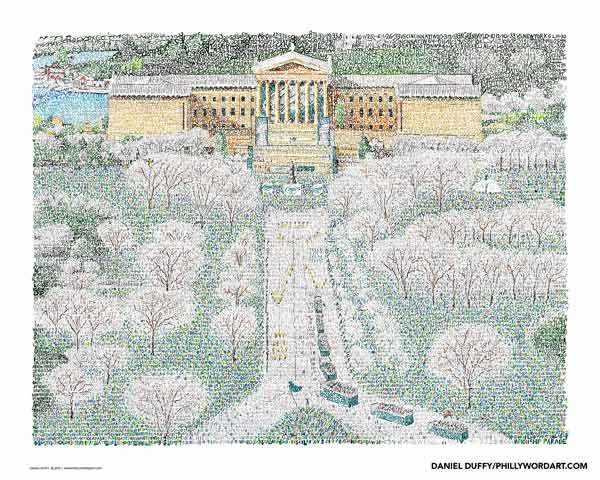 Prior to the start of the Eagles season, Duffy released an image of the team's logo made up of all the names of every player who has ever worn a Birds jersey. It took Duffy 60 plus hours to complete the "Philadelphia Eagles All Time Roster" work and all the 1,739 names that came with it. After the Eagles won the Super Bowl, Duffy knew he had to create another iconic image. 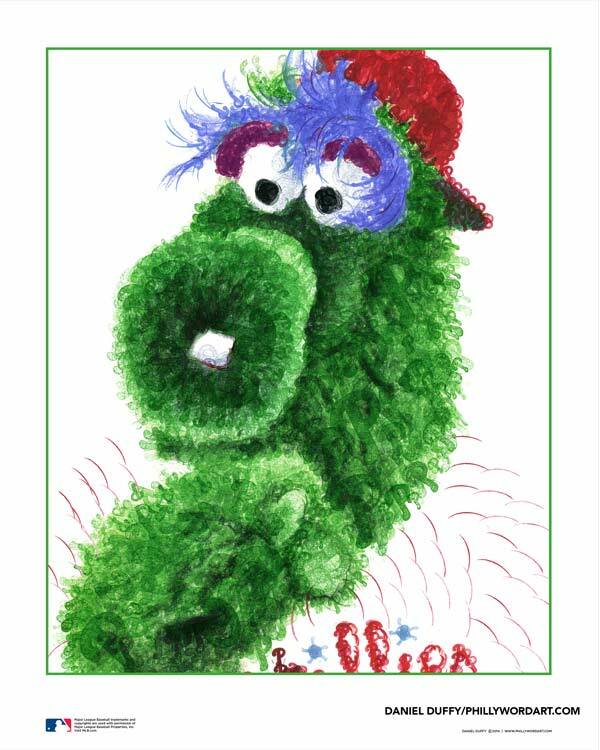 When he saw the sight of the Championship Parade at the Philadelphia Museum of Art, Duffy found his inspiration. 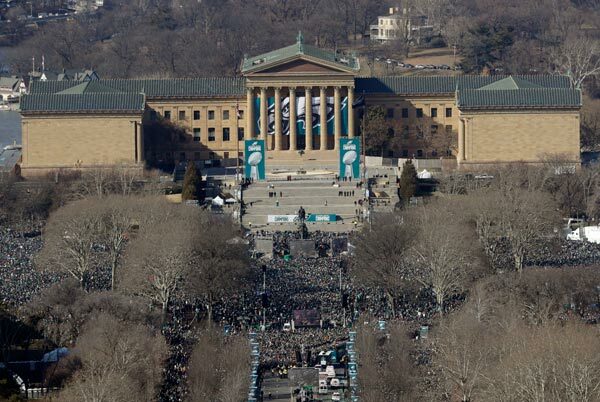 A crowd gathers in front of the Philadelphia Museum of Art during the Philadelphia Eagles NFL football team Super Bowl victory parade Thursday, Feb. 8, 2018, in Philadelphia. "There just wasn't one single player or play that could represent what this win means to Philadelphia. It felt like the entire city had a stake in this win, and I wanted the people of Philadelphia to be represented in this piece," Duffy said. But what text would he use to recreate the massive crowd on the Ben Franklin Parkway? The score. No, not just the score of Super Bowl LII, which was the Eagles 41, Patriots 33, by the way, but the score of every single Eagles game since the team's inception. He used the date, score, and name of the opponent of all 1,188 games, from 1933 to Super Bowl LII, to form the crowd, the trees, the Parkway, the Rocky Steps, the Art Museum, and the entire scene. "I chose the scores of every game in history because I felt like it was the best way to show the long, long road to the Super Bowl the fans and team had taken. There's some incredible wins on there, but also some devastating losses - and it all culminated in the parade - the biggest celebration in Philly sports history!" Duffy said. It took Duffy over 150 hours to complete his 'Championship Parade' image. He needed to make sure it was just right. "It's always tough to gauge how long each piece will take, but this one definitely took longer than anticipated. If you look closely, I added tiny bits of color in the crowd to represent individual fans. Every time I thought it looked complete, I found more spaces to add color!" Duffy said. 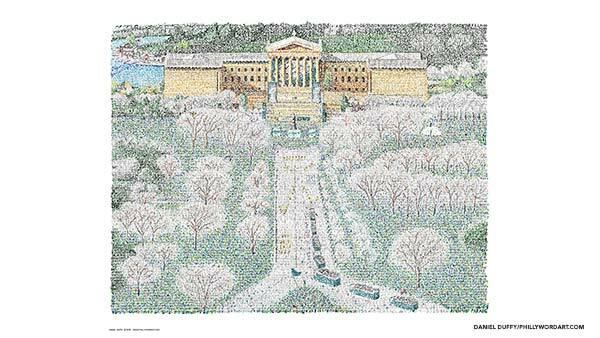 "Championship Parade" is available at phillywordart.com for $49.99.